FANBOY PLANET.com . : mc-batmanlivesneak :. 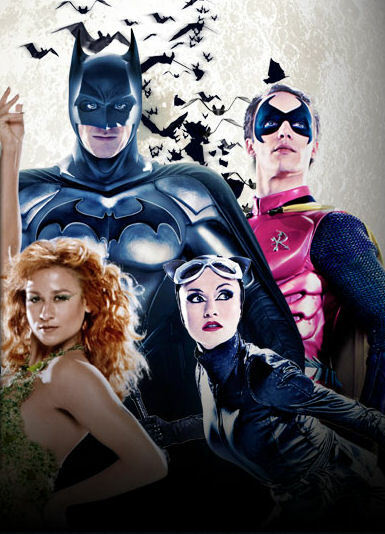 A Sneak Peek at Batman Live! Take this one with a grain of salt -- it's clearly rehearsal footage, and yes, it's a stadium show for the whole family so it's big, outsized and heaped with cheese. But it's also imaginative, featuring a stolid-looking Batman and a Joker that seems to be kid-friendly with the right hint of menacing madness. When you add in an arena full of kids totally caught up in this, the energy's going to be fantastic. The US isn't going to get this until sometime in 2012, but it's opening in Manchester the week of Comic-Con. Tickets are available here.